The Wood Elves, fearsome and fearless denizens of the forest, are coming to Steam on December 8 as Total War: Warhammer’s next playable race in the Realm of the Wood Elves DLC. Fast and nimble, with deadly archers and skilled warriors, but lacking in toughness, the Wood Elves are somewhat of a “glass cannon.” Hard hitting but highly mobile, they march to battle with their terrifying Treekin, Treeman, and Forest Dragon allies, among others, relying on hit-and-run strikes to defeat their foes. SEGA and Creative Assembly have also stated that the free content releasing alongside the Realm of the Wood Elves DLC will be announced soon. 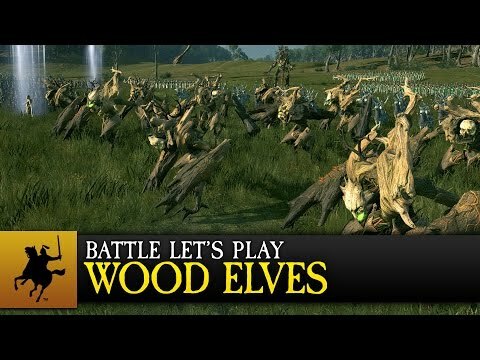 In the meantime, check out the Wood Elves on the field of battle below.